Rosemary Alwardt, 73 of Stonington, passed away at 12:29a.m. on Wednesday, January 30, 2019 in her home. She was born on January 31, 1945 in Effingham, the daughter of Charlie E. and Mary M. (Askins) Tarrant. She married Martin H. “Butch” Alwardt on March 22, 1965 in Effingham. Butch preceded her in death on September 27, 2007. Rosemary retired from St. Vincent Memorial Hospital where she worked as a nurse for over 30 years. She was a member of Trinity Lutheran Church in Taylorville. Rosemary enjoyed collecting and selling antiques, and together with her husband operated Stonington Antiques for several years. Most of all Rosemary enjoyed time spent with her family. She is survived by her sons: Nevin L. Alwardt (Jenny) of Westmont and Tony L. Alwardt (Beth) of Germantown Hills; grandchildren: Thomas Alwardt, Jill Alwardt, Molly Ward, Zachary Alwardt, and Lucas Alwardt; sister: Lucille Tarrant of Effingham; brothers: Ralph Tarrant and Dwayne Tarrant both of Effingham; and several nieces and nephews. She was preceded in death by her parents; husband; special friend: Roy Morthland; and siblings: Esta Pease, Charles Tarrant, Norma Webb, Lloyd Tarrant, Floyd Tarrant, Bobby Tarrant, Mary Tarrant, Gary Tarrant, and Lois Miller. 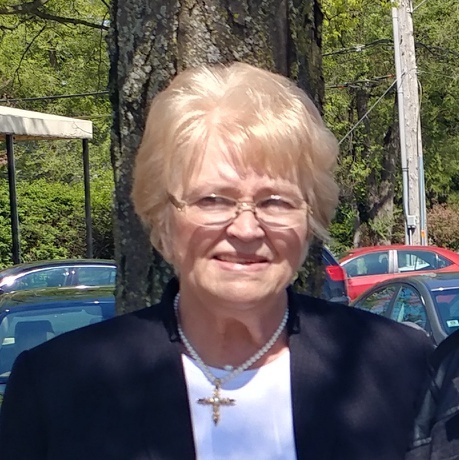 The funeral service for Rosemary will be held at 11:00am on Saturday, February 2, 2019 at McClure Funeral Home in Taylorville with Sister Rose McKeown officiating. Burial will take place in the Old Stonington Cemetery. Visitation will be held from 10:00a.m. until the time of service on Saturday. Memorials may be left to the Taylorville Food Pantry. McClure Funeral Home and Cremation Services in Taylorville is handling arrangements. Memories of Rosemary, or condolences to the family, may be left online at www.mcclurefuneralhome.com.